Comprehensive HR outsourcing and PEO solutions. Barry Shorten is a co-founder of Alcott HR. He ensures that the company is delivering superior service, support and value to our clients. Barry has been an advocate for small businesses and a pioneer in the HR outsourcing industry. He was instrumental in developing the professional employer organization (PEO) model, which provides an all-inclusive suite of human resource management services. Along with his leadership role at Alcott and his active involvement in the PEO industry, Barry is a dedicated member of the region’s business community. 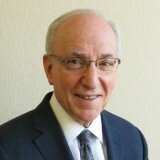 On the civic side, Barry served as treasurer of SAJES, a central agency for Jewish education and a nationally and internationally recognized leader in innovative and accessible Jewish education. Additionally, he was President of the South Eastern Nassau Synagogue Enterprise (SENSE) and serves on the Board of Directors of the Lend a Hand Project.